I’ve been AWOL for most of the summer. I thought that I’d be back into the swing pretty easily after my break that involved three months travelling around the continent, but it turns out that I thought wrong. I had a day set aside at the end of August before heading back to full time work to sort myself out, but then I got really bad food poisoning which has lead to me gagging every time I walk past a certain food chain. Then when work started again I’ve had a real cba attitude when it comes to blogging. And it’s because theatre blogging is bloody hard. It’s not for lack of inspiration – I have enough post ideas to post daily until the start of January (including thirteen reviews of shows/concerts I’ve already seen…whoops). I’m just beginning to find theatre blogging to be a very thankless job. On a day that I attend press night – Milton Keynes Theatre, for example – I wake up at 6:30am, leave my house at 7:20, have a full day at work leaving at 5:00pm. I then have two and a half hours to do get myself to Milton Keynes (which in rush hour takes about an hour and a half), find dinner from somewhere and watch the show. Most of the time I’m out by 10:15pm, but I then have a 55 minute drive back from Milton Keynes – frequently an hour and a half because the A1 is shut 90% of the time for overnight works – so I’m home by 11:30pm on average. I then have to write my review, which can take up to an hour depending on the show, then shut my brain off. I am regularly still awake at 2am, and that’s a fairly local production for me. Then back up again at 6:30am for work. And what do I get in exchange for taking an additional 6 hours out of my day? A few views on the post, the occasional thank you from the PR who hooked me up and – if I’m lucky – a retweet by the show in question. Yes, I am given the tickets for a number of these shows (especially the weekday ones, as I rarely book these for myself knowing full well I have work the next day), but it’s not as simple as watching it. I have to write, I have to make sure all the press photos I have are in the correct format and size, and I sometimes have to hunt around for photos to use. I have to promote on social media and I have to keep on top of my emails. Like any other blogger, there’s a lot of work to put in for just one person, but it’s the tight turn around that kills me as a theatre blogger. Most ask for 48 hours, but to get noticed you need to get it written and uploaded within a couple of hours of the show ending. I like to be in bed by 9pm most nights so you can see why I struggle. I’ve been blogging about theatre for 4 years, so I *think* I probably understand how theatre criticism works by now. If I’d been studying a subject for 4 years I’d be deemed an expert. If I’d been writing for a respected paper for 4 years I’d be deemed a professional critic. I’m so over proving my worth / proving the worth of bloggers in this ever changing landscape of theatre criticism, but I know so many bloggers who work SO hard to produce content because they LOVE theatre and want to share it. Running a blog, publishing countless reviews, interviews & features every month, alongside a job/education, is EXHAUSTING. Wonderfully rewarding too, of course, but exhausting. Bloggers are always the last to get the invite as opposed to traditional print media, which is fair enough. There is a much larger readership. 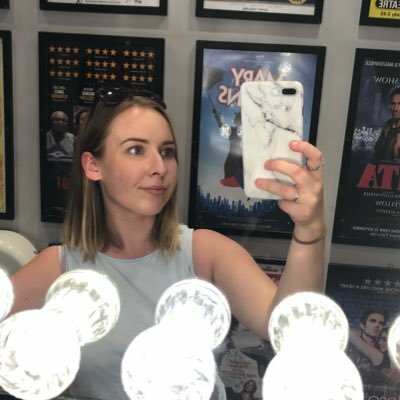 I’m still pretty new to theatre blogging, but some of my favourite theatre bloggers have been writing for years and get the same treatment that they got in their first year. Most other blogging niches have moved on – but theatre blogging hasn’t. And it’s a tiny niche. I raise my hands and say that I’m not the most coherent writer in the world. I spent three years at university studying biology, which basically means I didn’t write for the first two years of my degree. Whilst I love theatre blogging, I’m not going to be writing for the major press in my life. Ever. But I’d love to be able to do something with my love for the theatre. Think about it – I work in a college meaning I work full time without a break from September to December, January to April, April to July. I’m restricted with my leave (despite getting a lot of it). 2019 seems to be the year of Broadway transfers, and all the fun press events always happen midweek. I turn down 99.5% all of press launches, and maybe 90% of all evening invites I get. I earn less than £9 per hour (hello public sector), for 40 weeks of the year. A train ticket to London midweek costs me £19.80 (with a railcard) for the slow train which would only just get me there in time, or £23.40 for the fast train. In the past year I must’ve spent about £1,000 on trains to and from London. I then have to think about taxis when I get home which are £8 a pop because buses don’t run at midnight! I also buy tickets for myself to review shows that I’m personally interested in. The tickets I receive to provide reviews for nowhere near cover the cost of my transport, let alone my other blog expenses. I want to write a post about the cost of theatre blogging but when I start to total everything I feel a bit ill. However, I’d estimate I spend about 20% of my annual take home pay on this blog with zero thanks. And the longer it goes on the harder it becomes. Most of the time, I think that the theatre influencer community is why I still blog. I love going to press events and getting to have a catch up with people who are as like-minded as I am. They’re not the crazy fangirls/boys you often encounter online, and are just serious fans of theatre who want to talk about it. I don’t even know where I’m going with this post, I just needed to vent my anger.